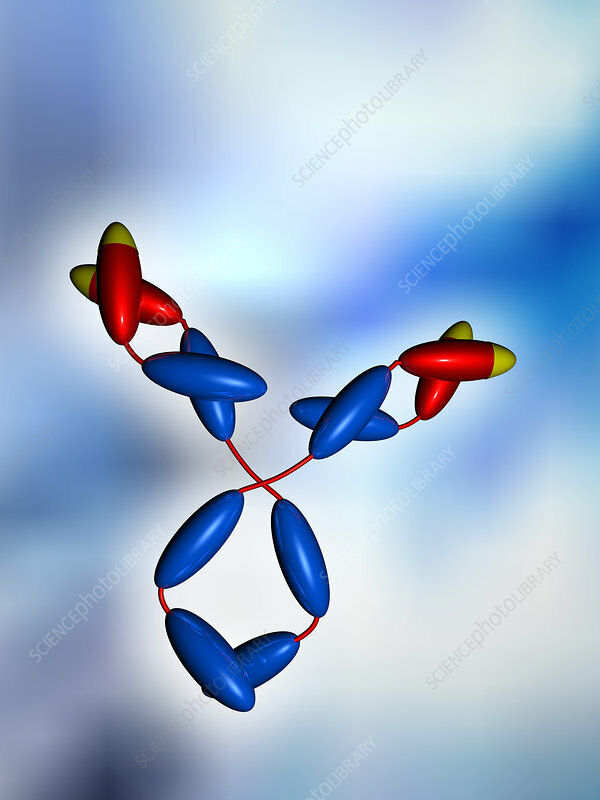 Antibody, computer artwork. An antibody, also known as an immunoglobulin, is an assembly of proteins that allows the immune system to identify and neutralise foreign objects in the body. Two 'heavy' protein chains form a Y shape, with two shorter, 'light' chains bonded to the short arms of the Y. At the top of each arm is an antigen binding fragment (red), which is specific to a single antigen. Antibodies bind to foreign substances to neutralise them directly (by blocking an active region), or to tag them for neutralisation by another part of the immune system.